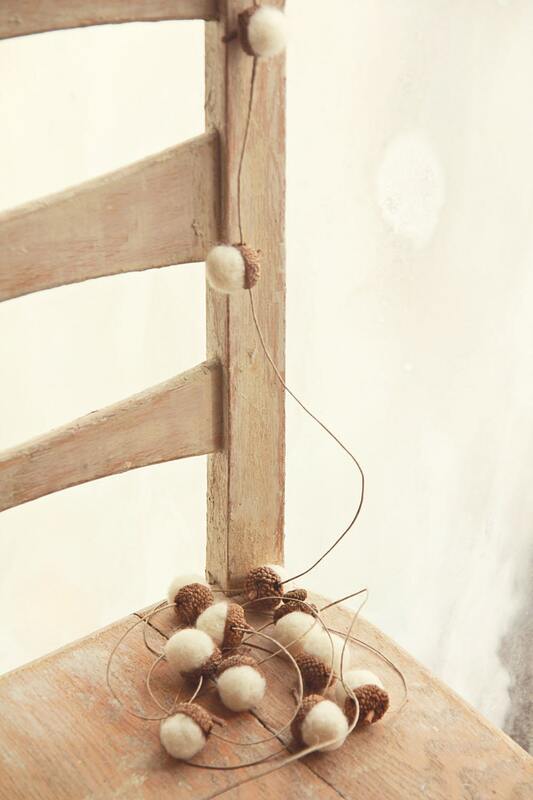 7ft hemp garland featuring 18 Snow White felted wool acorns (custom color requests always welcome). 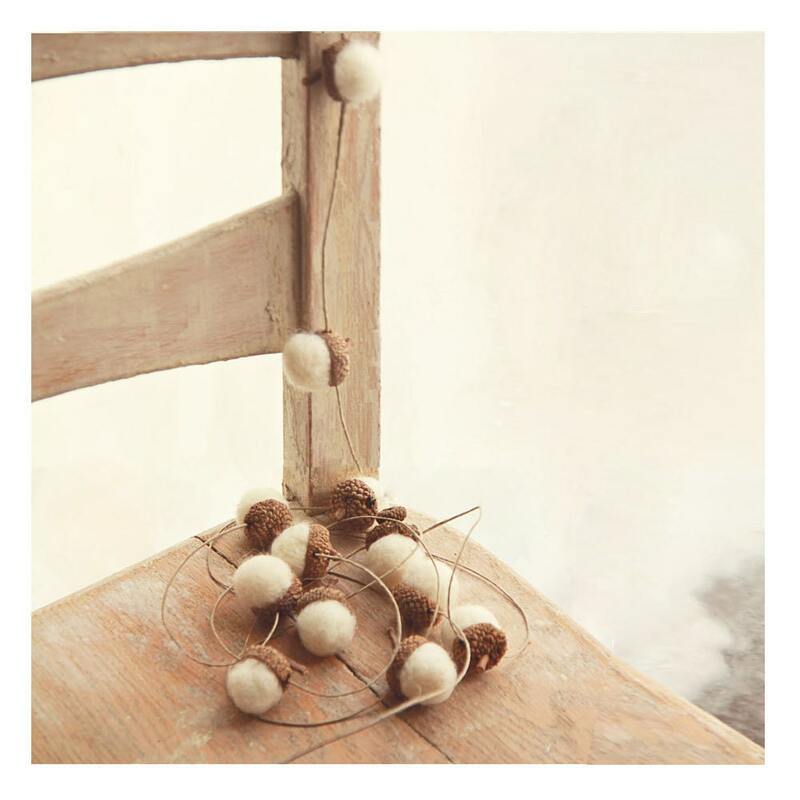 This garland makes a wonderful home, party or wedding decoration or a eco-style photo prop! 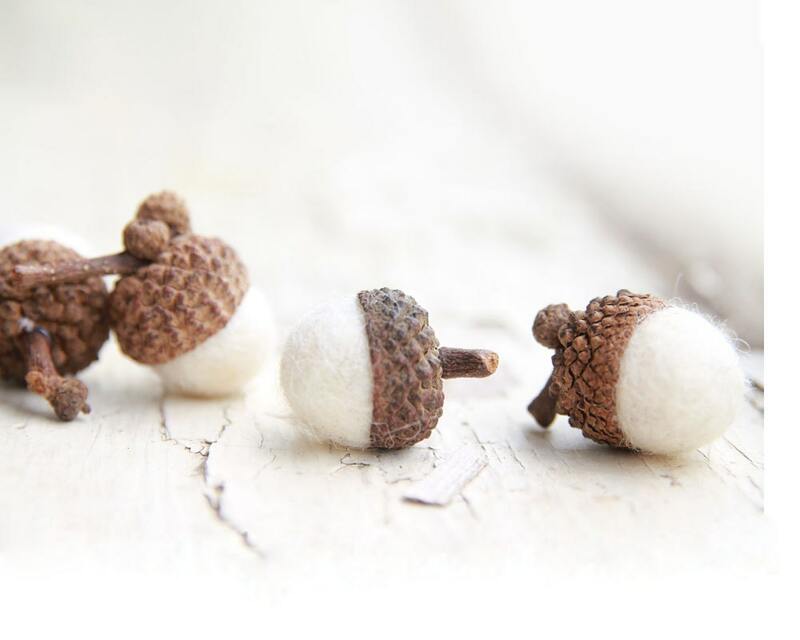 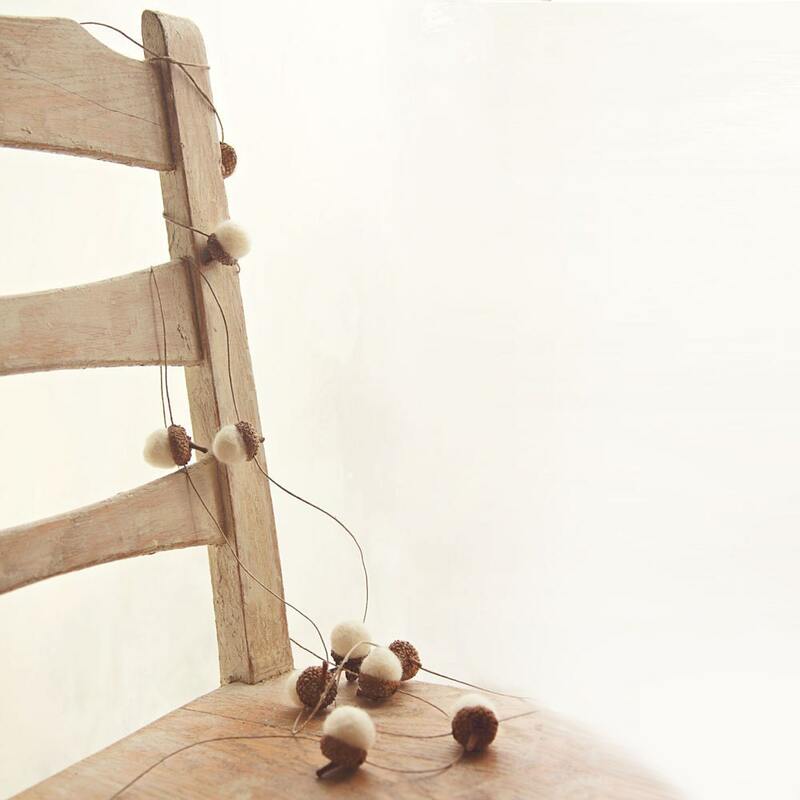 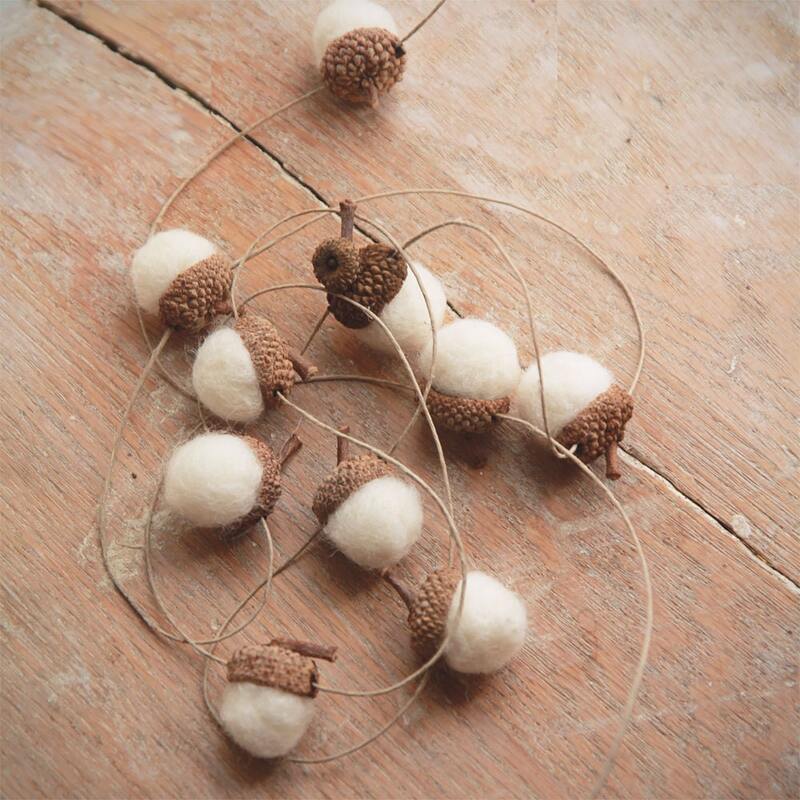 Each Wool Acorn is wet and dry felted and strung on hemp twine, carefully hand crafted each step of the way.